A major bridge at the Jersey Shore will not reopen in time for Memorial Day weekend, dealing a setback in plans to have the rebuilt span ready for the traditional start of the bustling summer tourism season. 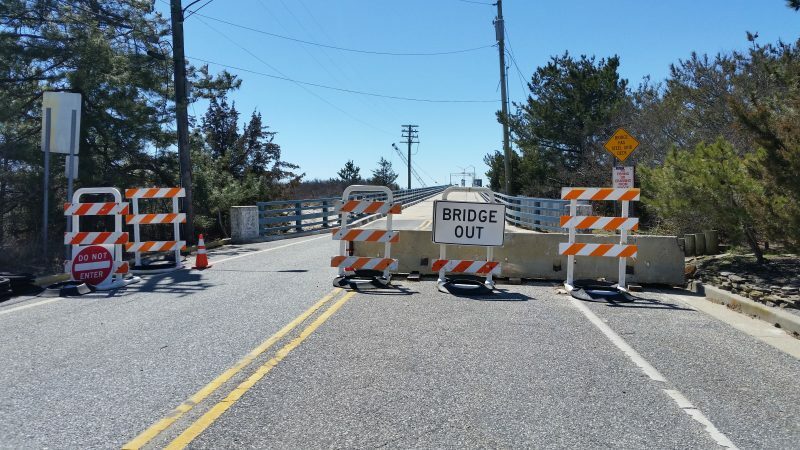 The 80-year-old Townsends Inlet Bridge linking Sea Isle City and Avalon along the scenic Ocean Drive has been closed since September for an $8.6 million overhaul to replace seven deteriorated sections. The project was supposed to be completed by May 22, just in time for the arrival of Memorial Day weekend traffic. However, Sea Isle officials announced Tuesday that the bridge will not reopen by then. Savastano could not elaborate on the problems other than to say that they apparently involve construction underneath the water. 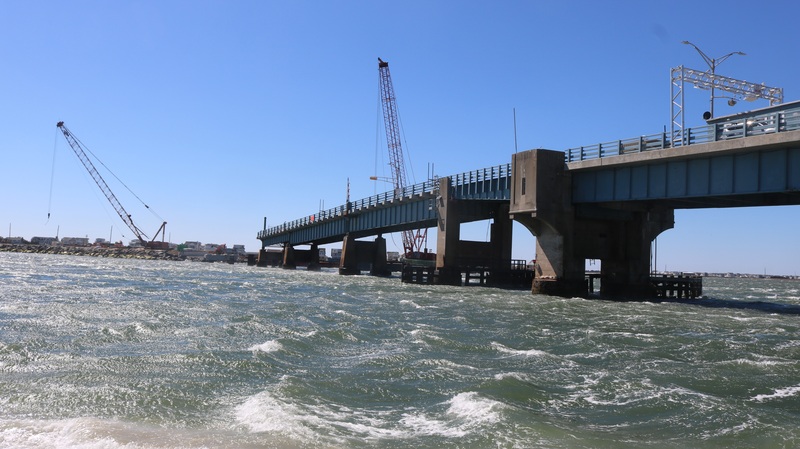 He said Cape May County officials have been meeting with the bridge’s construction contractor and plan to give Sea Isle an update on the project in the next seven to 10 days. A county spokeswoman could not be reached for comment Tuesday. Townsends Inlet is one of five bridges operated by the Cape May County Bridge Commission that connect the seashore towns from Ocean City to Cape May along the coast-hugging Ocean Drive. Sea Isle Mayor Leonard Desiderio, who is also a county freeholder, expressed frustration with the delay in the bridge work. He said businesses in both Sea Isle and Avalon will be hurt by not having a vital transportation link open for the kickoff of the summer vacation season at the shore. Built in 1939, the antiquated Townsends Inlet Bridge has gone through a series of shutdowns in recent years for structural repairs, maintenance work and related road construction. “This bridge has been a headache for all of us for a number of years,” Desiderio said. 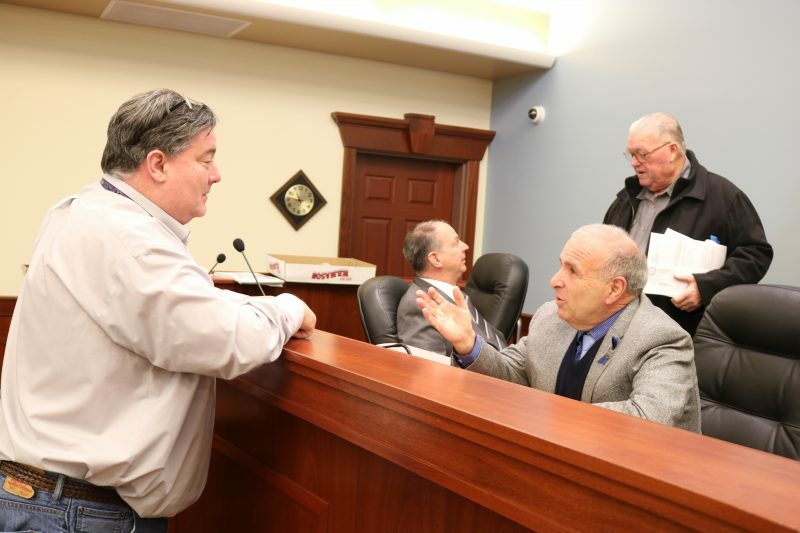 Mayor Leonard Desiderio, right, talks to Sea Isle construction official Neil Byrne about the Townsends Inlet Bridge after Tuesday’s City Council meeting. Altogether, there are 27 spans that comprise the entire 1,373-foot bridge. Seven of the spans on the Avalon side were badly deteriorated and must be replaced. The renovation project is designed to keep the bridge in service until a combination of county, state and federal funding can be found to replace it altogether. Government officials say it would take about five to 10 years to plan, design and build a new bridge even if the money becomes available for the estimated $105 million to $175 million project. Desiderio said the Townsends Inlet Bridge underscores the need for the state and federal government to divert more transportation funding to South Jersey for bridge construction projects. Desiderio noted that he and Cape May County Freeholder Director Gerald M. Thornton appealed to federal officials for more bridge funding on Monday during a meeting of the South Jersey Transportation Planning Organization. Of the five bridges operated by the Cape May County Bridge Commission, four were built in the late 1930s to 1940s with the help of federal infrastructure funding under President Franklin D. Roosevelt’s New Deal to recover from the Great Depression. The county has been developing plans to renovate or replace the four older bridges at Townsends Inlet, Middle Thorofare, Grassy Sound and Corsons Inlet. The commission’s fifth bridge, the Ocean City-Longport Bridge, is a modern structure. In the meantime, motorists will continue to follow a lengthy detour on the Garden State Parkway or Route 9 for trips between Sea Isle and Avalon. The closure of the Townsends Inlet Bridge means that drivers must endure a 32-mile round-trip journey between both towns instead of taking a short hop over the bridge, Desiderio said. “It’s very frustrating, because it’s not something we have control over. We are at the mercy of the contactor and at the mercy of the weather,” he said of the bridge’s reconstruction.